This year I had the immense pleasure to spend 2 extra lavish weeks in Dubai, one of my favorite cities ever. Despite it was not my first time visiting – as in 2017 I spent over 2 months there – this year I discovered so many new beautiful places and I had the chance to experience all the best things in town! 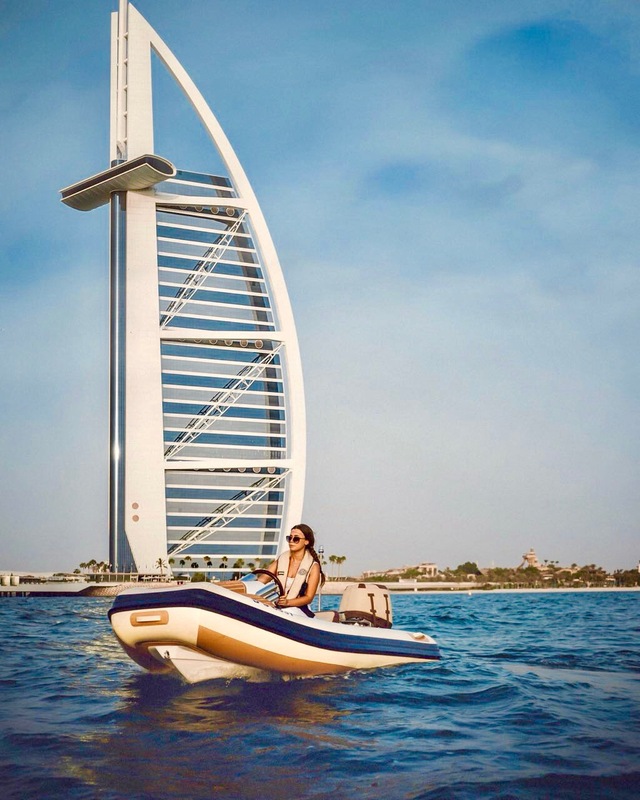 I felt incredibly blessed and I am so happy to share with you “My Dubai Travel Guide”, with the best highlights of my extravagant and luxurious adventures! This has been probably my favorite outdoor activity in Dubai among all! First of all: I did not know how to drive a boat and I was not confident that I could make it! Many of you asked me on Instagram if it is safe riding a boat by yourself for the first time and I can guarantee you it really is! My friends and I were in a group of 10 people (5 couples) together with Hero Dubai boat instructor. He briefed us before heading out in the sea and nobody had any issue driving the small boats, which are very safe and stable. One of the most memorable experiences in my entire life: so romantic and so much fun during a breathtaking sunset! Thanks Hero Dubai! 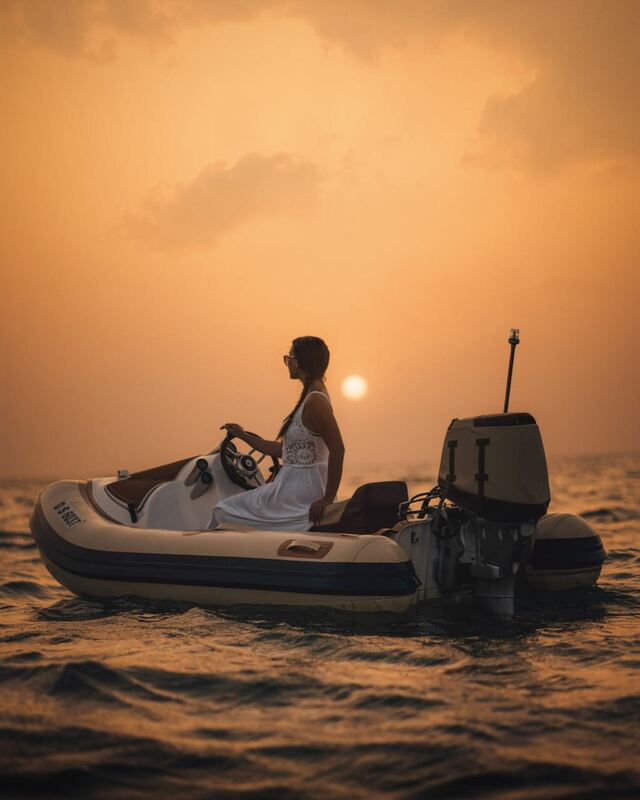 Myself driving a Hero Dubai boat during the sunset! I truly love helicopter rides above cities, because they give me a very special perspective of them. Flying above Dubai is absolutely a must, because its architecture and its urban landscape are just too incredible to be missed! 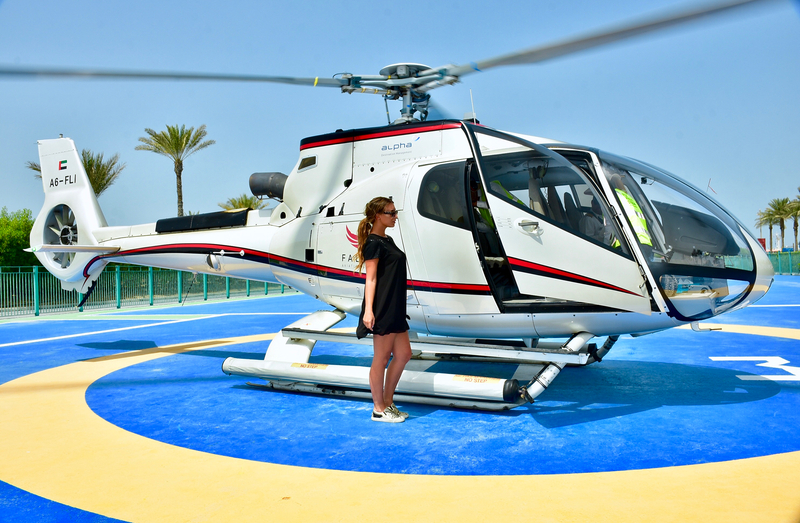 I had the pleasure to experience it with ‘Fly High Dubai’, a heli-tours company inside Atlantis The Palms. You can get very exclusive tours, with a fantastic concierge that takes care of you and all your needs. The staff is very efficient, professional and ready to help you anytime. I had really a great time! 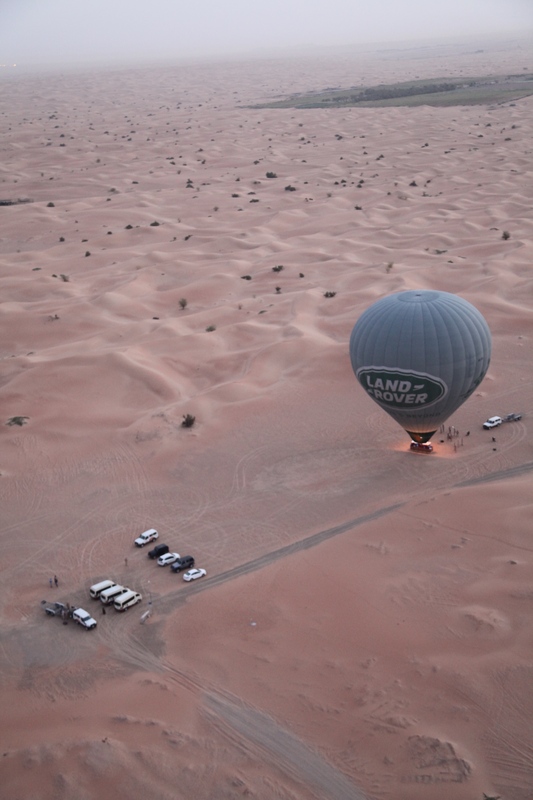 Another truly remarkable experience during my stay in Dubai has been the Luxury Desert Safari with Platinum Heritage. I have been to several different deserts in my life and I had definitely great memories from the past and from other countries, but this time in the Dubai Desert has surely been the most luxurious and particular one! 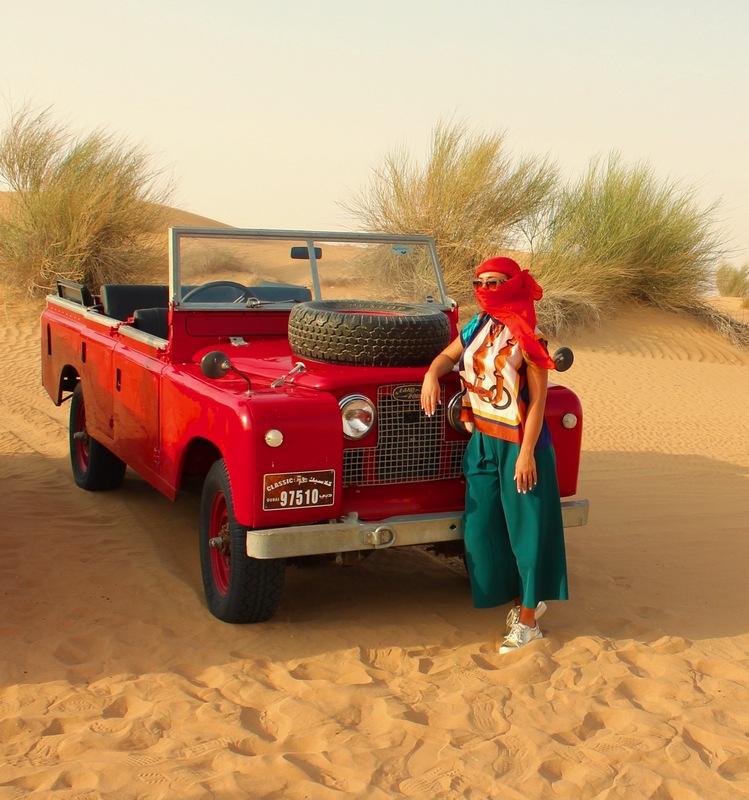 A desert safari in Dubai has always been the number one activity all international guests and residents have to try at least once in their life. The romance of the desert conjures up images of the golden sands of Lawrence of Arabia, 1001 nights and the soft flames of an antique lamp and a gentle bonfire casting a warm glow around Bedouins. We watched the well renown ‘falcon show’ during the sunset, before heading to the Bedouin Camp for dinner. 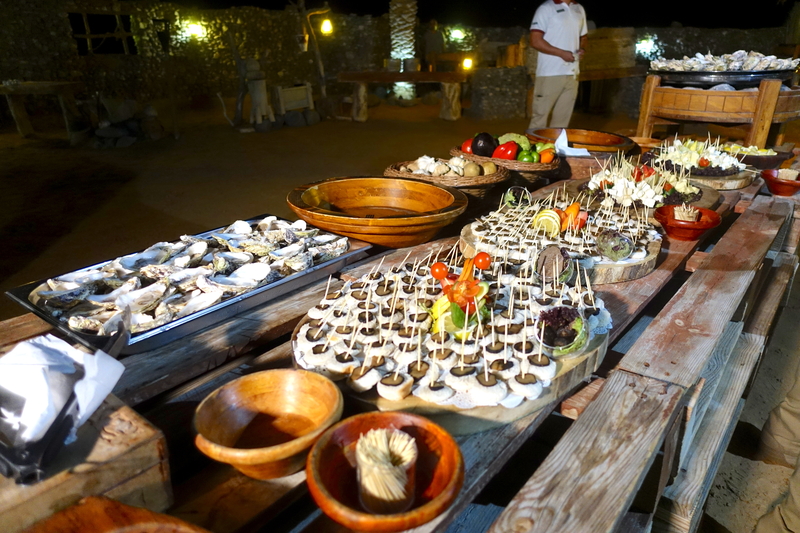 I got wonderfully surprised by the catering: the buffet was full of oysters, truffles and cheese (among many other Emirati delicatessen). Basically my favorite food, during a night in the desert. I could not believe my eyes… such a luxurious buffet! Everything was perfectly presented and organized. 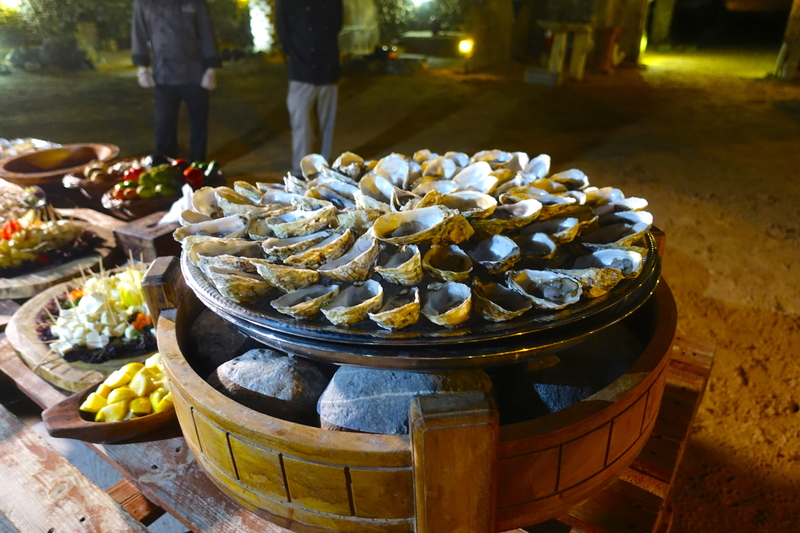 The oysters (despite the heat) were SO fresh and yummy. For the first time in my life I had “grilled oysters with butter and lime“: honestly one of the most delicious things I have ever had! I can’t get over it! WOW. The only thing I can genuinely say out loud thinking about that morning in the desert: WOW. It was my very first time on a hot air balloon, and it couldn’t be better. The driver picked me up at the hotel in Downtown Dubai at 4:30 AM. We drove to the desert and it took again approximately 1 hour, or less. When we arrived there it was so magical, hard to describe! 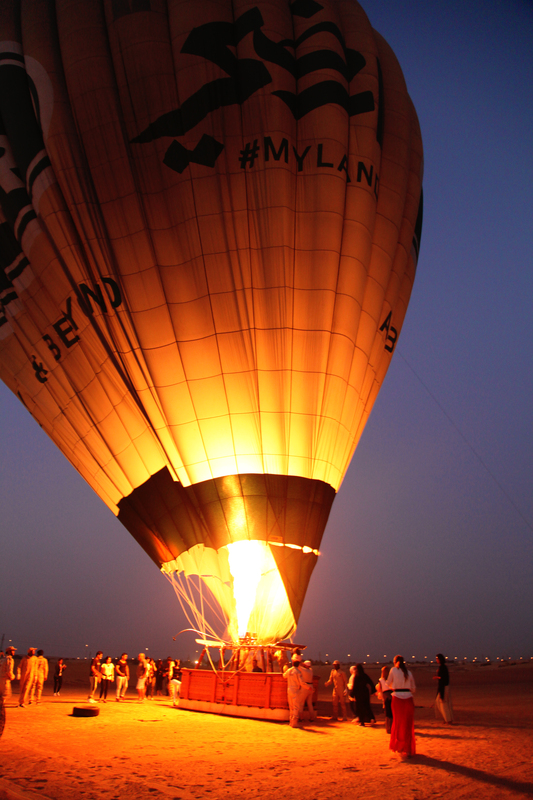 Hot air balloon in the Dubai Desert at 5 AM! Getting ready to watch the sunrise from the hot air balloon was so exciting. 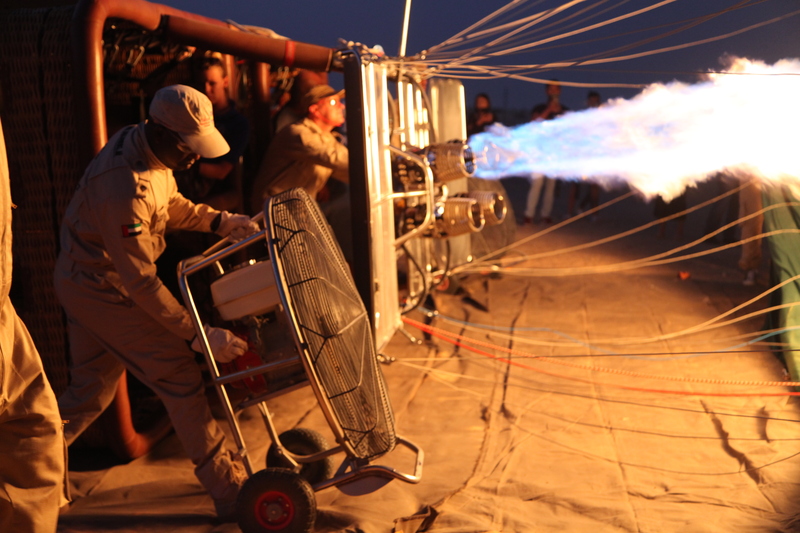 Seeing the fire inside the balloon before flying was incredible – I never realized how big a hot air balloon could be and how it actually works! 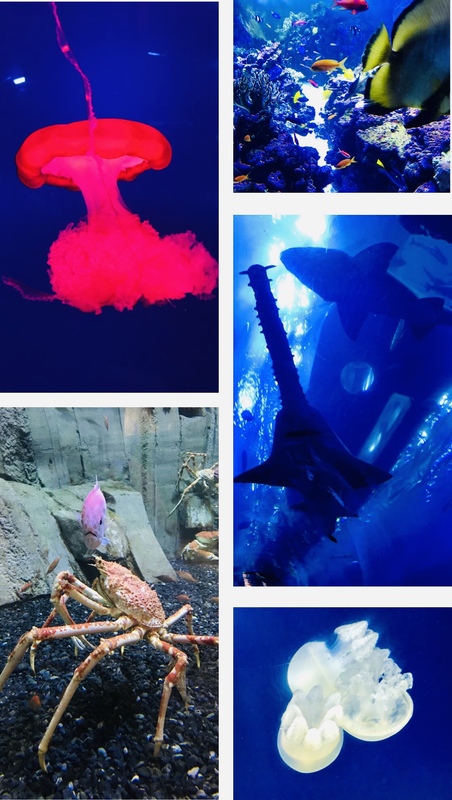 Basically everything was incredibly fascinating and beautiful. Hot air balloons float because warm air is lighter than cool air, which makes the heated envelope of gas less dense than its surroundings. To get the balloon flying, the air inside is usually heated to over 200 degrees. View from my hot air balloon in the Dubai Desert! After the ride, which lasted around 1 hour, we all headed to the Bedouin Camp of Platinum Heritage, where we had a luxurious breakfast with fresh salmon, caviar, and many other delicatessen! The sunrise is the desert is always so beautiful, I have seen several in my life and it is always an awesome experience. Another experience that you seriously cannot miss while visiting Dubai is to go to the Top of Burj Khalifa, the tallest building in the world! When I was at the observation deck, I seriously thought we were flying. The outdoor terrace in the following picture is a 555 meters from the ground! Unreal! During your tour you can enjoy fresh drinks and snacks, together with a fantastic view of the city! As you know already, I love high-adrenaline kind of experiences. In the past years I did Bungee Jumping in Macau, Sky-diving in Italy, iFly in Singapore, Zip Line in a mountain gorge in Italy and the A’dam LookOut in Amsterdam. This time in Dubai, I couldn’t avoid to try the longest urban zip-line in the world, 170m above the ground, with an average speed of 80km/h! 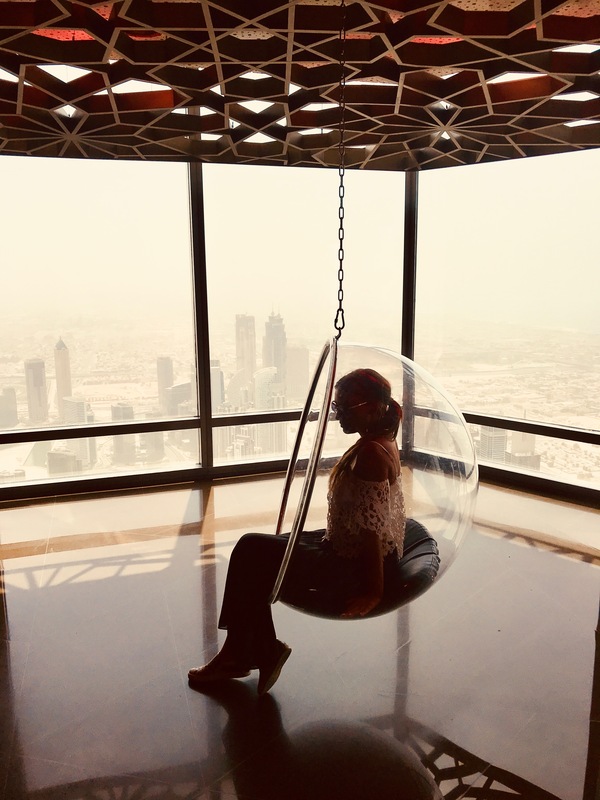 I promise you, compare to the other experiences before mentioned, the XLine Dubai Marina is the most enjoyable: it last approximately 60 seconds, it feels super safe and comfortable and you have just to enjoy the view above the city! Highly recommended! Check the availability and book your experience HERE! Myself on the XLine Dubai Marina! So much fun! ATMOSPHERE DUBAI: The World’s Tallest Restaurant! Dining on 122nd floor of the Burj Khalifa, 442 meters from the ground, felt really crazy! 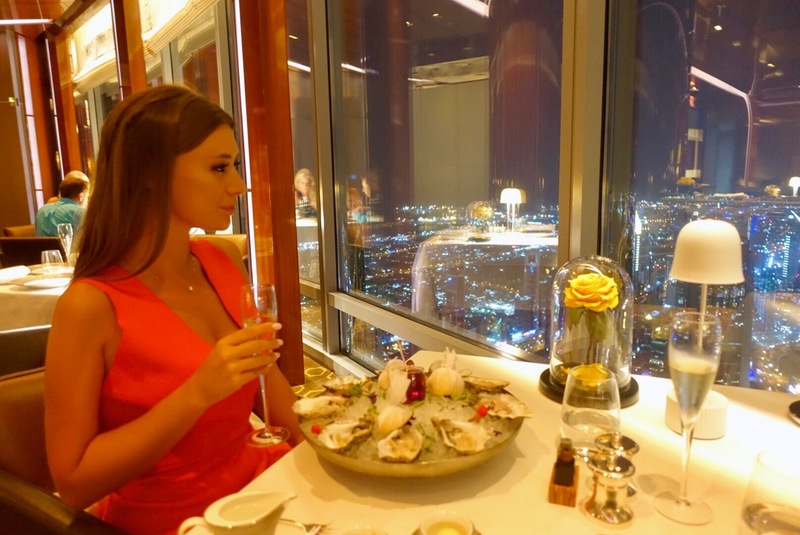 I adored having this luxurious dinner with the best food from all over the world, together with an impeccable service and breathtaking views of the Arabian Gulf! Atmosphere Restaurant in Dubai is the world’s tallest restaurant and it is really beautiful. During the dinner, we went back to the entrance where we enjoyed the famous fountains show from above! NATHAN OUTLAW AL MAHARA @ BURJ AL ARAB: Michelin Starred Experience! 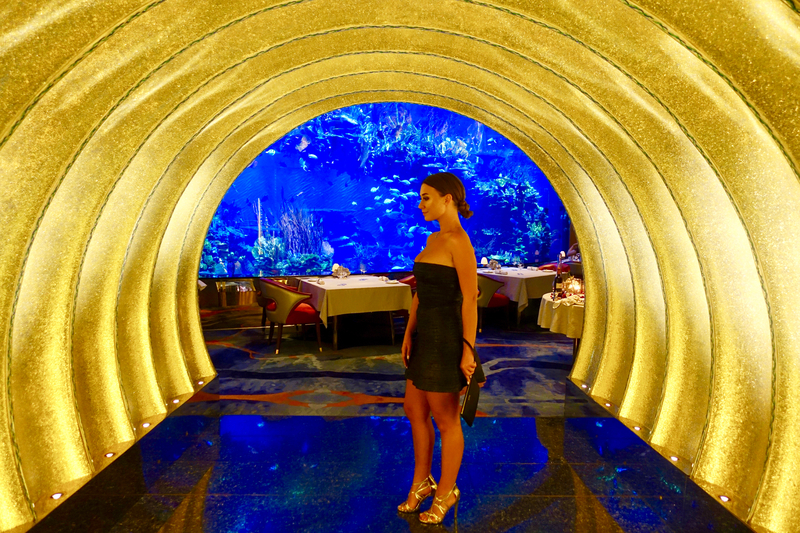 During my stay at the Burj Al Arab I had the immense pleasure to have a magnificent dinner at the Nathan Outlaw Al Mahara, the 2 Michelin Starred restaurant very well known for its huge aquarium in the middle of the dining room. We literally ate next to it and it was simply magical! The seafood here is exquisite, probably the best you can find in Dubai! I cannot forget how yummy the Langoustines were… and everything else too! Hard to tell you precisely how excited I was when I arrived at Ski Dubai, inside the Mall of the Emirates! 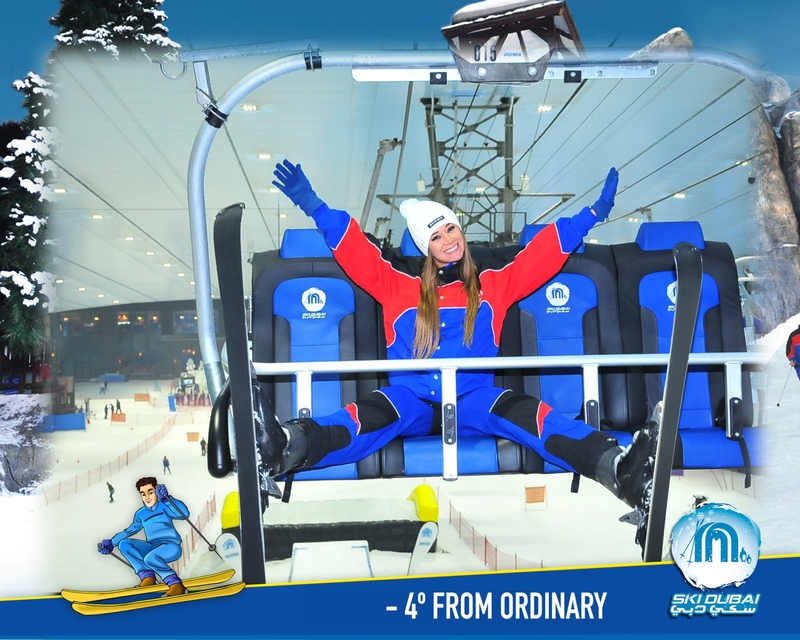 Yes, in Dubai you can ski inside a shopping mall: a 22,500 sqm artificial snow park! I know it might sound surreal, but it is true. I had so much fun, I literally skied for 2 solid hours non stop, while outside there were 42ºC! They provide you all the equipment required to ski, but of course you can bring your own as well. Myself happy like a kid @ Ski Dubai! 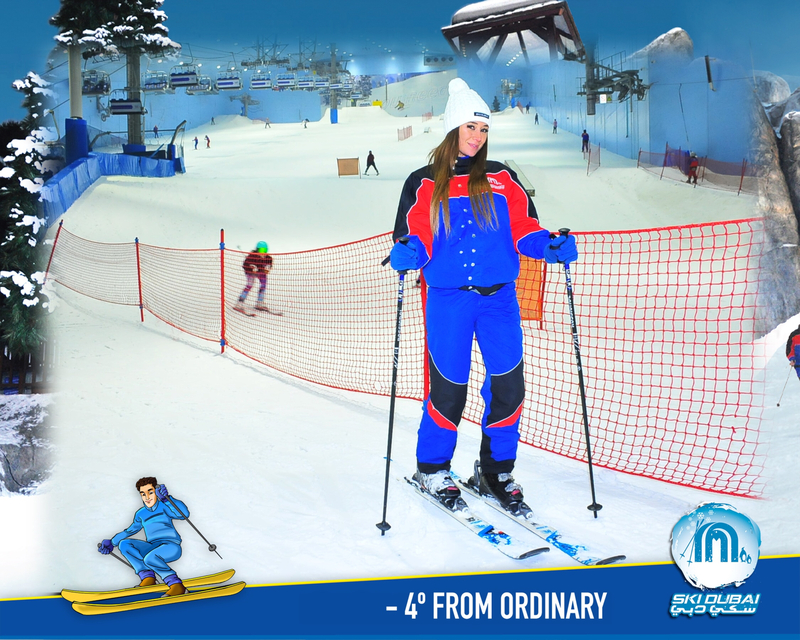 Myself skiing @ Ski Dubai! 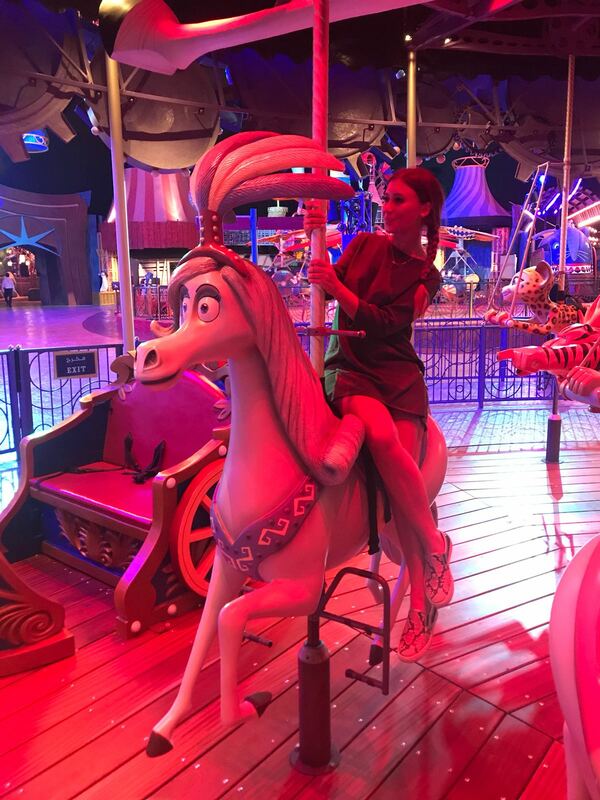 What a fun way to spend a day at the Motiongate Dubai Theme Park! Discover the magic of Hollywood like never before and let us introduce you to three world-famous motion picture studios: Dreamworks Animation, Columbia Pictures, and Lionsgate!
. Create memories as you experience MOTIONGATE™ Theme Park. Catch up with all the awesomeness that awaits across our 5 studio zones which include 40 World-Class rides. I truly enjoyed a full day there and it has been really delightful! Nothing better than smile all day long while having fun and sometimes feel like a kid 🙂 Great for family of course, but also for a group of friends and surely a brilliant idea for an unusual date with your love! 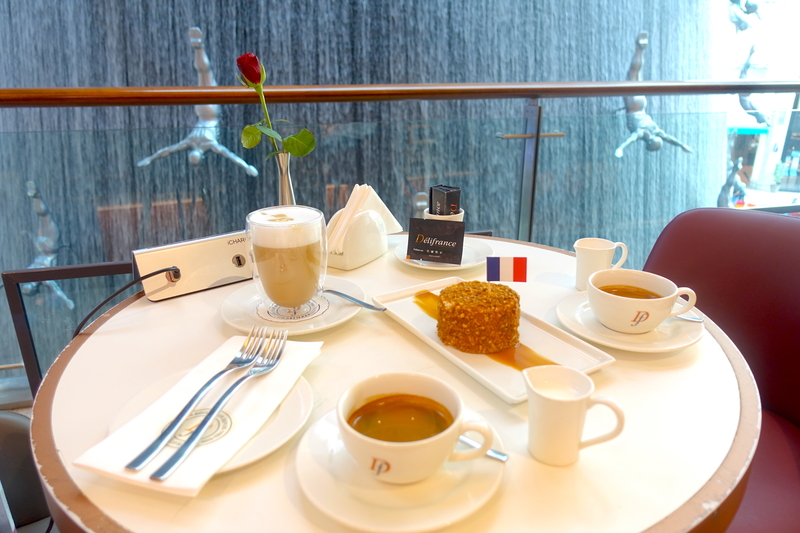 After a few hours of shopping inside the huge Dubai Mall, we had a delicious lunch at Delifrance. At the beginning I thought it was just a coffee shop, but I found out that it is a very lovely place for a meal inside the mall. First of all they have a wide menu, they use fresh great products and the service is very professional. 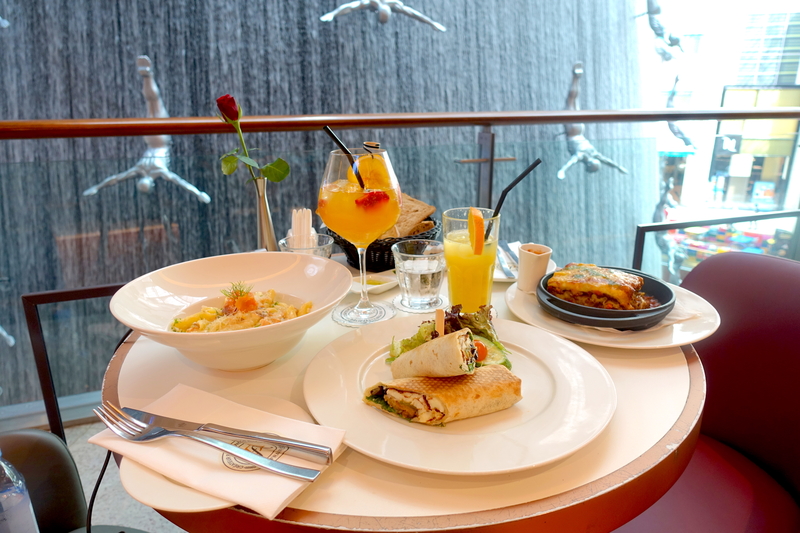 On top of that you have a great view from the balcony overlooking the famous indoor fountain, and there is a multiple power bank on each table (perfect for working too!). The coffee is GREAT and everything we ordered was absolutely delicious, a great discovery for brunch and lunch, or just for a bite during the day. Highly recommended! I hope that this Travel Guide regarding the best things to experience in town will be helpful to plan your trip! ← Exploring Langhe-Roero in Piedmont (Italy): A Sublime UNESCO World Heritage Site!